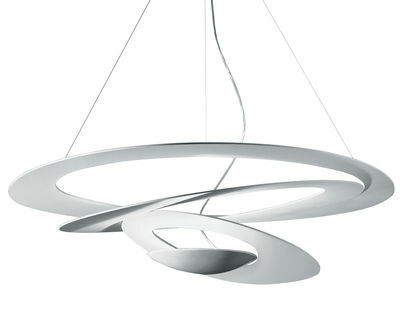 This lamp, fluttering freely in space like a winding ribbon, definitely is an eye-catcher! 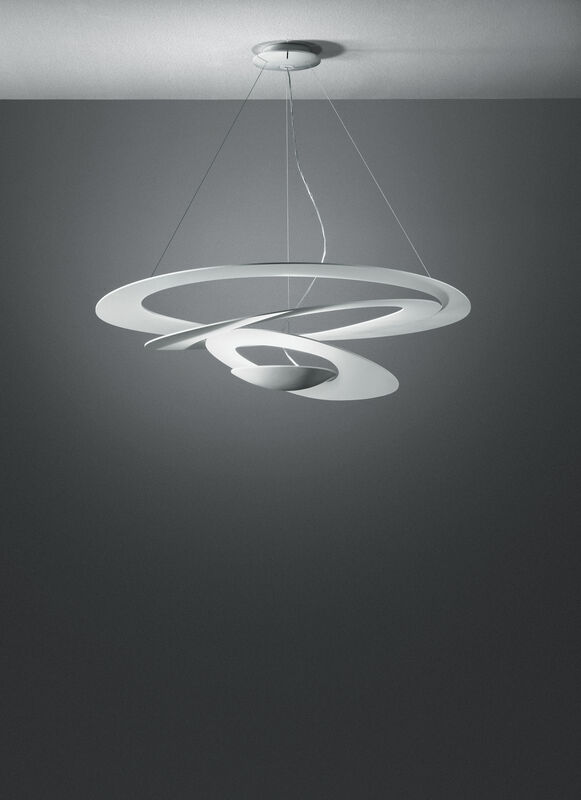 Pirce LED pendant is composed of spirals cut from a big aluminium disc. The LED source is situated on the lower cupola and the light is directed upwards and reflected on the spirals. This ribbon plays with shades to create magic effects... This pendant of imposing dimensions (Ø 97 x H 28 cm) will adorn large spaces with its aerial and graphic presence.